... but after a warranty frame replacement it turned into a Nitro9.3 with Charger components. It came with a triple chainring (44/32/22) and a pretty standard 10 speed MTB cassette (12-36). After an emergency repair last year that temporarily turned it into a single speed, I realized that I don't need all those gears. With the 1x trend I figured it was time to make the plunge. 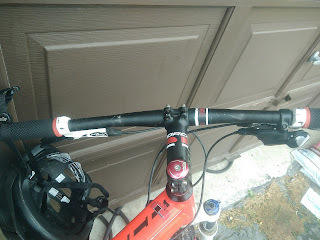 Nothing was wrong with my bike, so I made the decision to do it in place. A single chainring in the front, instead of a triple or double - and no front shifter or derailleur. Basically your rear derailleur does all your gear changes. First thing you need is a big range cluster on the rear cassette. You can take your existing cassette and mess around with it - add a big bail-out ring, drop some, etc. But if you're like me, you're probably overdue for a new cassette anyway... so I went and bought a new Sunrace MX3 10 Speed Cassette. 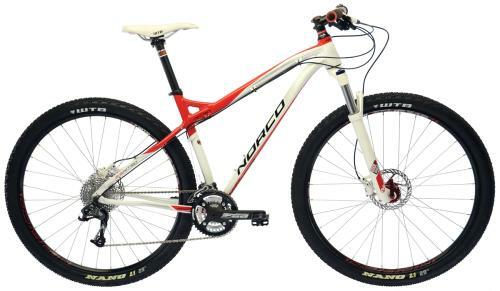 This took my rear cassette from 12-36 to 11-42, with reasonable jumps across the whole range. Here there are a lot of options. The "cheap and cheerful" option is to replace your big ring with a bash guard and dump your small ring... leaving just the middle. There are all kinds of problems here, though. Without a chain guide in place of the front derailleur, you will probably dump your chain. You can get a different ring that has alternating teeth - but once you buy that and the bashguard, you're talking some good dough already. I decided my old crankset was probably not worth saving, so I just replaced the whole thing with the Race Face Ride Single Speed Crankset. I found it online for $99USD, and it included an appropriately sized bashguard! The teeth alternate to keep it firmly where it is meant to be. Oh and it came with a new bottom bracket! What a deal. It's 32T - I don't know if it came in any other configurations, but that was perfect for me since it matched my existing middle ring. 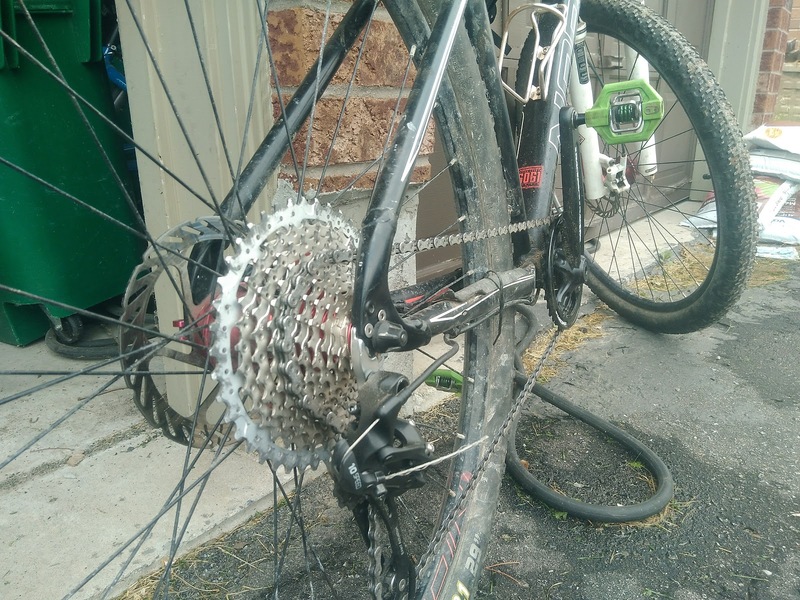 There are people who say you need a special "clutch" mechanism on your rear derailleur. There are other people who suggest you need a Chain Guide. These are both to keep the chain from popping off your front ring. So far I haven't had any problems, largely on the strength of the alternating teeth on the front ring. If I start having trouble I'll address it, but I bounced off a lot of stuff without a drop yesterday. It was a little weird not having it... I kept trying to use it instinctively! That will change soon enough. I love it. MTB'ing throws a lot at you, and there are always those times you find the hill steeper than you thought too late and you're in the wrong front ring... no longer. It's just a lot simpler. Less things to go wrong. Probably not massively lighter, but lighter. One thing I hadn't even thought about is CLEARANCE! I have more of it! 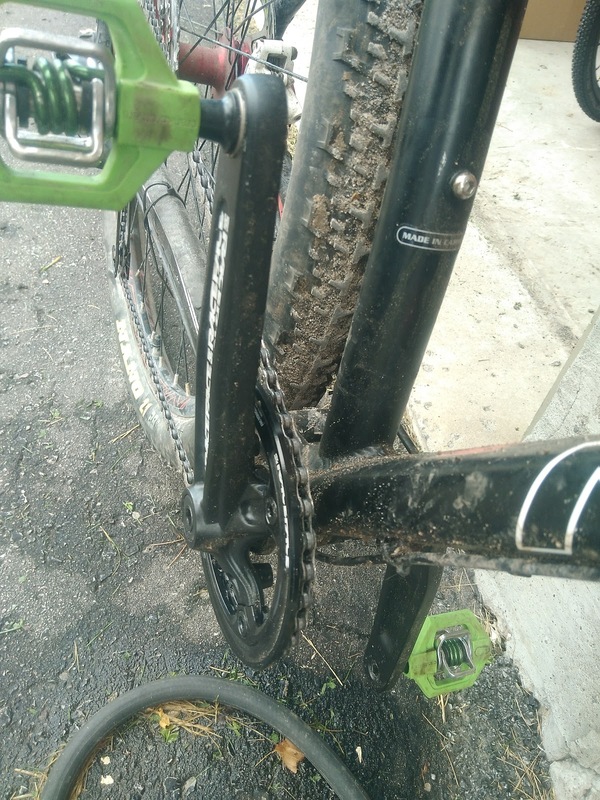 I'm on a 29-er so I already had a lot, but there is one log I was putting a lot of chainring marks in... this first ride, cleared it! Yay. And if I didn't, the bashguard is there to take the brunt, rather than bending teeth. 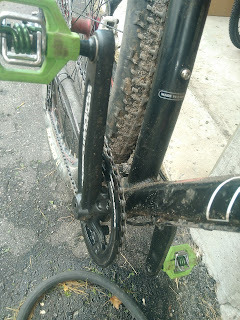 The jumps between gears were not noticeably larger than before. For the road they probably would be - I like to find a pretty specific cadence and stick to it. But MTB it's always pretty dynamic anyway. Old largest ratio was 3.67:1, new is 2.91:1 - so my top speed should take a hit if I'm ever on roads, which really isn't the priority for this bike. Or my cadence will have to be more hamster-wheel-like. Old smallest ratio was 0.61:1, new is 0.76:1 - a pretty modest loss of lowest gearing. We went up some steep stuff, and it was fine. $168USD+tax+shipping. Pretty modest. Being in Canada the exchange rate stings a bit, but still very reasonable.